Servitisation is becoming a big topic of conversation in many industries. Type the word into your favourite search engine and you’ll find a number of different definitions, stories or examples to ponder on. Read them all and you’ll end up more confused than ever and worse off than where you started! That’s why we decided to write this essential guide to servitisation. At Servispart, we have a long track record of undertaking servitisation work and projects for many companies over the last 2-3 decades. Some of the companies we’ve worked with have been pioneers within their industry sectors. Not that we mean to brag or anything – we just think you have the right to know the provenance and credibility of what you’re reading and the advice you’re receiving. After all, there’s so much fake news and fake advice cluttering up the blogosphere and social media channels these days, you need to be careful. Most of the reading matter is regurgitated media commentary rather than experiential advice from solid practitioners. Given our practical experience, we’d like to think we are better positioned than most to advise on what servitisation really is, what it involves, how to do it, what the benefits can be, demonstrate real, practical examples that we’ve done ourselves, etc. We hope you enjoy our guide and leave us your comments below! As this is an essential guide to servitisation, it feels like we need to start at the beginning. What is servitisation (or servitization)? Just in case you’re wondering, servitisation and servitization are the same thing. The only reason we have two spellings is because our American friends like to spell it wrongly (sorry, differently). A quick Internet search will reveal a variety of explanations for what servitisation is or what it means. Some will say that servitisation describes the strategy of creating value by adding services to products. 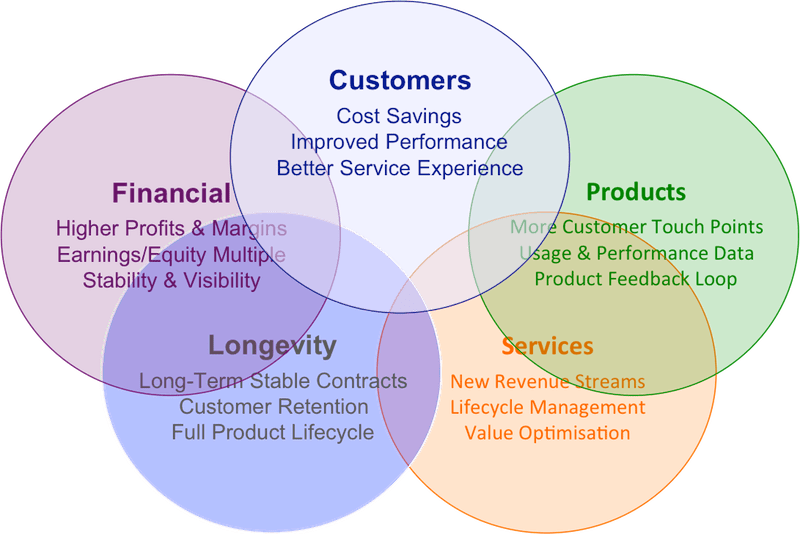 While that’s kind of true, adding services to a product is better described as bundling services with products to create amalgamated product/service offerings. Servitisation can involve doing this, and often does, but not necessarily. Another popular view is that servitisation describes changing your business model from selling products to selling services. Again, this is kind of true, but not necessarily. Academics have been studying servitisation for a few decades now. The most frequently sourced article on servitisation dates back to 1988 and is consistent with the above views. More recent academic articles view servitisation as a product-service system. Viewing servitisation in terms of product-service systems is useful, especially if you want to study the interaction between products and services within the product-service continuum of business modelling. However, as practitioners in servitisation, we think all of these definitions are missing the point of what servitisation really is. The definitions above go a long way to describe the servitisation of products but they don’t adequately describe the servitisation of a business. These two things are subtly different, often confused and hence explain why servitisation is a confusing topic for many people. Anyone undertaking servitisation of their business will quickly realise that servitisation is a transformation journey. Yes, it usually involves adding or adapting the services that you offer with your products. And in some cases it can even mean replacing products entirely with services. So in these respects we can think of servitisation as the process of taking your product and offering it as part of a service package/solution instead i.e. re-packaging a product as a service (the opposite of productisation). This is what we mean by “servitisation of products” and explains why you’ll sometimes see servitisation described as, or associated with the term, “Product As A Service” (PAAS). One of the most common and earliest examples of this is “Software As A Service” (SAAS), which is rapidly becoming the norm in the software industry. Servitisation of a business is much more than that though. This involves changing a business from one that produces and/or sells products into one that produces and/or sells a mix of products/services. If we examine the SAAS example again, we see that it also involves changing the business model. Not just in terms of delivering more services and the changing product/service mix but the commercial/pricing models too. Whereas traditional on-premise software involved a capital purchase with a big chunk of cost up front plus an ongoing support fee of a lesser amount, SAAS software is usually a flat subscription fee for everything bundled together. So servitisation of a business also involves a business model transformation or commercial transformation. In essence, it involves the transformation of a product oriented business into a more service oriented business. The precise nature and extent of servitisation with respect to your own business depends on the type of business you have and the type of business you want to have. In other words, servitisation for a restaurant is different from servitisation for a product manufacturer. Not only that but servitisation for some manufacturers e.g. parts manufacturers is different to others e.g. equipment manufacturers. Let’s unpick these differences next. Servitisation of manufacturing refers to the way that manufacturing businesses are changing to meet evolving customer needs. SEE ALSO: Servitisation of Manufacturing: It’s Manufacturing, Jim, But Not As We Know It! The type of services that can be amalgamated with your product depends on the nature of your product and the needs of your customers. So, a parts manufacturer who is supplying new parts to parts distributors or stockists may decide to begin providing imprest stocks or some kind of Vendor Managed Inventory (VMI) service. This enables their customers to lower their inventory levels and possibly stop stocking certain parts altogether with consequential savings in working capital investment. In return for this saving, they may be willing to pay a higher price for the parts or a service fee to the parts manufacturer or even sign a long-term service contract if a high level of parts availability can be guaranteed. Alternatively, a parts manufacturer who is supplying an Original Equipment Manufacturer (OEM) may decide to begin providing extended warranty services or product durability guarantees. These enable the OEM to flow risk down the supply chain, which is especially useful when the OEM is servitising its business model with its customers. For the OEM itself, it may decide to provide output based service contracts for its customers instead of merely selling products, spares and repairs. This enables an OEM’s customers to use their products without owning them in the traditional way. Output based contracts also provide the customer with many other benefits, too. The commercial revenue/pricing models that can be used to sell your new product/service offerings will again depend on the nature of your product and the needs of your customers. So a parts manufacturer supplying parts distributors may provide extended credit terms or parts availability guarantees in exchange for exclusivity or a service contract fee. A parts manufacturer supplying an OEM may start charging fees in exchange for extended warranties or durability guarantees that include a free exchange service. OEM’s may offer their customers spares inclusive maintenance contracts or pay as you go usage contracts, for example. Changing your commercial business model doesn’t just reflect a change in your operating business model, though. It also changes the balance of commercial risk in the relationship between your manufacturing business and its customers. Offering your customer a parts availability service with guaranteed levels of parts availability transfers the risk of stock out from the customer to you, the service provider, for example. Similarly, many of the services that are becoming associated with the servitisation of manufacturing involve a transfer of risk from customer to manufacturer. SEE ALSO: The Aftermarket Paradox – Friend or Foe? For this reason, servitisation should not be considered lightly. For a manufacturer to take on this increased level of risk, it needs to have the capability to provide the new services as well as perform them at the desired level to manage the risk cost-effectively. If these are services it hasn’t performed before then it will need to develop new operational capabilities or improve the ones it has. So, for example, a manufacturer may have the capability to plan how many components it needs for its manufacturing process, but is it capable of forecasting the demand for finished items and calculating how much stock is required to guarantee 95% availability? Almost certainly, servitisation of manufacturing involves capability improvement to some extent. Which means that the manufacturer needs to be able to manage the capability transformation (people, processes, platforms and partners). What type of services are you considering developing? What kind of new revenue/pricing models are you considering and what kind of risks will transfer? What are the capabilities that you need to develop to manage the new risks? At Servispart Consulting, we have a service called Service Growth Accelerator that is specifically designed to help manufacturers and distributors to devise and implement their servitisation strategy. Contact us for more information. Research into companies enjoying greater long-term service revenue and significantly higher profit margins reveals their consistent investment in service support capabilities (processes, people, platforms and partners) through a planned programme of service transformation (servitisation). It should be clear by now that there are many different types of servitisation and thus many different servitisation business models. Which type of servitisation is right for your business depends on your customers, your products/services, and so on, as we have discussed above. Essentially though, the various types of servitisation business model can be characterised into four types. 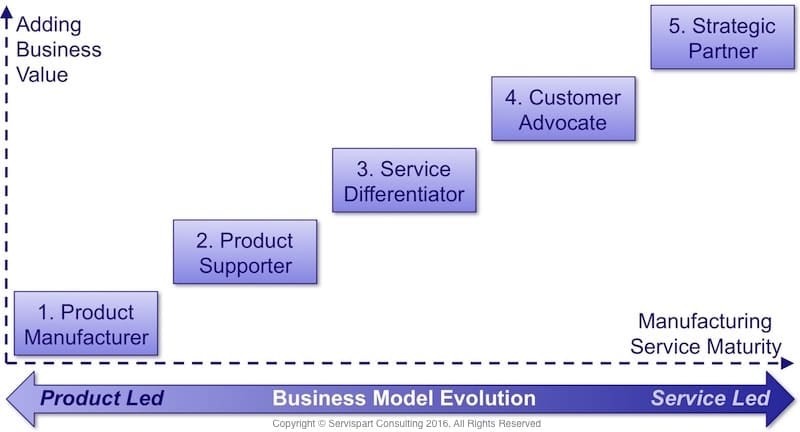 All of the service and revenue model types described earlier, can be mapped onto this chart. For example, parts availability solutions are typical of product supporters, whereas pay as you go usage contracts are typical of customer advocates or strategic partners. Before producing a business case to move further up this ‘maturity staircase’ then, it is vitally important to fully understand your current position on it, decide what level of maturity you aspire to for your company, in what timeframe, for which markets/customers, etc. Multiple scenarios may need to be considered before you can decide your optimum business model and business case to move towards it. But once you’ve decided, how will you know if your aspirations are achievable? Other key factors in determining what is possible for your business are your existing service capability, the additional or improved maturity of capability needed to bridge the gap between your current position and aspirational position, your capability to undertake such a transformation and the time and cost involved in that transformation. Devising servitisation strategies and aftermarket capability analysis, development and implementation of this kind can be a struggle for manufacturers and distributors, especially Original Equipment Manufacturers (OEMs) without the necessary know-how, tools and methods. That is why Servispart Consulting developed its own unique, market-leading approach called Service Growth Accelerator to provide the necessary know-how, tools and techniques to help grow your service capability with confidence and less risk. It is a proven approach developed progressively over the last 20 years or so, in our servitisation work with OEMs, parts manufacturers and parts distributors. The above testimonial refers to the first ever whole-aircraft availability contract. Back in 2005, nothing had ever been done like that before, anywhere in the world, and as Simon says above, our involvement was critical. ATTAC was transformational for the UK Government customer, bringing £510 million of savings compared to traditional support methods. 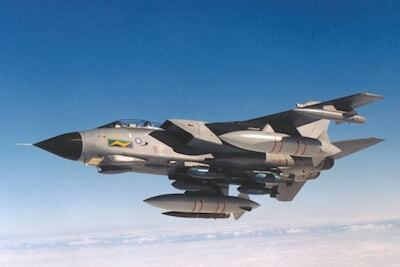 For BAE Systems, winning and delivering the ATTAC contract was not achieved overnight. The journey from a traditional spares and repairs aftermarket, in-service support model towards a performance based whole-equipment fleet support model involved multiple steps, which all began for their Ministry of Defence customer with a programme known as CRISP (ChallengeR 2 Innovative Spares Programme) in 1997. 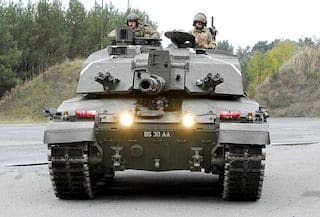 CRISP was the first ever parts availability contract, which delivered incremental service revenues for its OEM, Vickers Defence Systems, of £190 million in only two years and was credited with saving Vickers Defence Systems from bankruptcy. CRISP delivered many operational service and financial benefits for the customer too, including support cost savings of 33%, spares inventory reduction of 89% and parts delivery lead time reduction of 90% to 96%, depending on the type of demand. Our lead consultant was responsible for major elements of the servitisation business model, solution design and commercial contract mechanisms of the CRISP transformation. His ideas and his practical application of those ideas were intrinsic in enabling the improved financial fortunes of Vickers Defence Systems and BAE Systems, heavily influencing the way that Defence manufacturers operate today. Developing your servitisation strategy is one of the most important priorities for an engineering manufacturer’s overall growth and financial health. A proper well thought out and robust plan will increase the predictability of your revenue and profit growth and cut risk. A flaky strategy and a feeble, smash and grab plan will achieve the opposite and ensure you struggle. It is critically important that top level management own your servitisation strategy and your corresponding Growth Action Plan. Indeed, lack of senior-level buy-in is a massive issue holding back many companies at present. Read this article If you are in need of some inspiration yourself or an argument to wake up your seniors. Developing an effective servitisation strategy and plan is a process requiring strong aftermarket expertise and past experience in servitisation. If you don’t have that in your company right now, the simple solution is to find and engage external resources that can help you through the process. Regardless of whether you develop your plan yourself or engage external professional help, the process is the same and involves five iterative steps. If the maturity of your aftermarket service and support capability is low then jumping straight to implementing advanced service strategies now would be like trying to obtain a degree in pure mathematics when you’ve not yet learned how to do fractions, percentages or simple algebra! That might sound crazy when you read it and indeed it is, but it is surprisingly common. Companies that don’t build capability progressively from their current level always end up stalling, regressing, losing money or damaging their credibility some other way. Which implies that you need a method of assessing and measuring your existing capability maturity and an idea of what the logical development path is for building from here. The obvious answer to this conundrum is a comprehensive servitisation maturity model. Your capability model needs to provide maturity measures spanning all the core drivers of servitisation and associated aftermarket capabilities. Taking a scientific approach to aftermarket capability development is a revelation for most companies, boosting profitability. At Servispart, we have seen significant investment returns with multiple clients in multiple engineered parts and equipment sectors and have unlocked many remarkable results. Capability assessment and benchmarking, when done consistently, ensures that focus is maintained on your most important development areas. It also enables capability improvement progress to be tracked and feedback to be provided to business leaders so they know their investment is having the desired effect. At this stage, it is recommended that you track capability maturity scores alongside your operational and financial Key Performance Indicators (KPIs). These are the things that will really inspire leader’s confidence to continue investing in your service transformation (servitisation). After measuring your existing service/support capabilities and comparing with your desired level, you will have gaps that must be addressed. You will also have identified some capability strengths. At this stage though, more analysis is required to uncover the full nature of your capability gaps and the true genius of your capability strengths. It can be extremely difficult to remain objective in your self-assessment and analysis but you need to find a way of doing this if possible. Reluctant interviewees can be encouraged to share more if you utilise independent interviewers, for example. It is most effective when they interview your customers, suppliers and business partners on your behalf and can often uncover strengths or weaknesses that would otherwise stay hidden. The next task is to identify the business growth opportunities that will be targeted first and the associated capability developments required to realise those opportunities. This involves synthesising information gathered so far into a clear action plan detailing the specific capability development projects, resources required, timings, risk assessments and investment appraisal. This is an important stage requiring care and objectivity. It also requires experience of similar capability development projects to determine the type and quantity of resources required. While it might be tempting to try and upgrade big chunks of capability all in one go and do everything yourself, risk can be reduced significantly and iterative growth momentum established by building and delivering capability upgrades in smaller chunks that link directly to (ideally) one defined business growth opportunity at a time. The aim then is to iterate the aftermarket growth cycle as rapidly as possible, building bite-size chunks of capability and measuring progress as you transform towards your aspirational vision for your servitised business. Those familiar with modern system development techniques may recognise this as being very similar to a project management method known as “agile,” albeit what is described here is a little less structured and less formal. With your servitisation strategy and plan in place and signed off by your leadership, your required new capability projects need to be developed. These will involve a combination of process developments, system developments, people recruitment, training and organisational changes or finding, selecting and appointing new business partners. Of all the five stages of the aftermarket growth lifecycle, this is the one most likely to go wrong. When it does, business leaders often compound the problem by blaming the strategy or plan when, in fact, the root cause of their problem is a lack of specialist experience in developing new servitisation capabilities. Nobody would ask a family doctor to conduct a life-saving surgical operation or ask a heart surgeon to conduct brain surgery. It is therefore critical to have experienced resources and know-how leading your servitisation projects. Adopting appropriate project and programme management methods such as Prince 2 and MSP (Managing Successful Programmes) is also highly recommended. Experienced leaders of change with the right qualifications will not only minimise the risk of failure, but will also save time and money in the longer run. After implementation, it is important to run your business with your new processes, systems, people, partners, etc. for a period to allow for adjustments to be made, new resources and methods to fully embed, etc. Eventually, when the new level of servitisation capability becomes the new norm or “business as usual,” it will be time to re-assess your capability maturity again and to record your latest KPIs. When you do this, it is essential that you use the same method of measuring your servitisation maturity and KPIs as you did before so that you can track progress as you go along. For larger organisations, consistent use of the same capability maturity model and associated KPIs enables lines of business, geographic or product divisions, etc. to be compared against one another and capability to be shared or transferred. Do your resources have the specialist experience to develop your new servitisation capabilities? Do you have access to a credible servitisation capability measurement tool and maturity model? Do you possess the objectivity and commercial independence to undertake your servitisation assessment yourself? Our servitisation strategy and capability improvement service is called Service Growth Accelerator and is specifically designed to assess your service and support capability strengths and weaknesses to create a servitisation strategy and plan that delivers high impact results in minimum time. 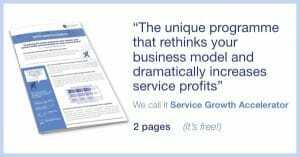 If you’d like to learn more about Service Growth Accelerator and how it could help you develop your servitisation strategy to improve your business growth, please get in touch. Although it is common sense to us, we think many OEMs, parts manufacturers and parts distributors fixate too much on their products and miss the huge opportunity that through-life capability services provide. This is especially so for capital assets with a service life of 10-50 years or more and the component parts used to build them, where manufacturers typically capture only 25% of the total customer spend available. The case histories described above, highlight some of the powerful overall business benefits enabled by servitisation. Other real, practical benefits also flow from the specific capability improvement projects that are undertaken to enable the servitisation. These are equally powerful and demonstrate that servitisation cannot be achieved just by altering your commercial pricing and contracting models. Indeed, companies that don’t boost their service and support (aftermarket) capabilities as part of their service transformation (servitisation) are doomed to fail. SEE ALSO: The Servitised Economy – Is Your Manufacturing Business Obsolete Yet? Sales increase of £51 million (38%) and profit increase of £12 million (109%). So far, we’ve illustrated that the benefits of service transformation (servitisation) and aftermarket improvement can be extraordinary, when it’s done right. Servitisation of your business can reward you with a steady stream of value and business benefits for many years to come. It can grow revenues, widen profit margins and expand longer-term order books. It can build customer relationships to retain customers for longer, while customers receive better service, improved performance and cost savings. However, we’ve also learned that servitisation is not a panacea for success and should not be attempted lightly. This is because servitisation involves a fundamental transfer of financial, operational and reputation risks from customer to OEM / service provider. Understanding and mitigating these risks through a mix of capability improvement and partnering is key to success. The right advisory partner is therefore vital. Servispart Consulting are innovators and solid practitioners in this field of servitisation and aftermarket capability development. Our team has been improving the parts and service businesses of OEMs and parts manufacturers for more than 30 years and doing servitisation for more than 20. Simply put, our critical point of difference in this marketplace is our long track record of benefits delivered. After reading this guide, if you feel the need to assess your servitisation strategy and develop a robust service transformation plan for your business, please contact us to request more information or book a time to speak with one of our specialists. Servispart Consulting specialises in servitisation strategy and service transformation for manufacturers and distributors of engineered products. For more free resources, view our growing library of aftermarket insights including guides, checklists, white papers, articles, webinars, videos and podcasts. Got a question about servitisation? Adrian is is a director of Servispart Consulting and one of the UK’s leading experts on aftermarket growth and servitisation. Described by clients as “an original thinker” and “a breath of fresh air” he brings a straight-talking approach and enviable track record to all of his work, which has been intrinsic in developing some of the most successful aftermarket programmes for organisation like BAE Systems, Jaguar Land Rover, Lex Service, Ministry of Defence and many others. The Servitised Economy – Is Your Manufacturing Business Obsolete Yet? 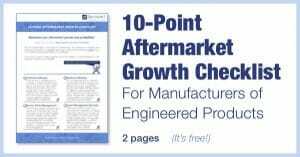 Want to grow your aftermarket? Strategy out of date or not working? Changes running late? Over budget? Relationship problems? Contractual problems? Implementation problems? Requirements unclear? Solutions unclear? Software supplier issues? Implementation issues? Project delays and cost overruns? Too much inventory? Poor availability? Slow/unreliable logistics? Inconsistent pricing? Poor data management? Poor growth? Uncompetitive offerings? Losing customers? Unattractive services? Excess and obsolete inventory? Too many people? Expensive to scale up? Losing to cheaper competitors? Out of date processes or systems?